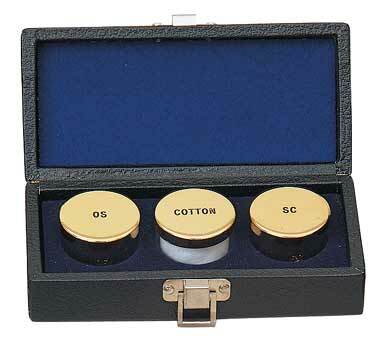 Baptismal Set containing 3 oil containers, 1-1/2" in diameter with OS, SC, and COTTON engraved on the lids. Includes a 6" x 3" x 2-1/4" deep case. Available in your choice of 24K gold plated or Stainless Steel. Replacement stocks also available call for details.